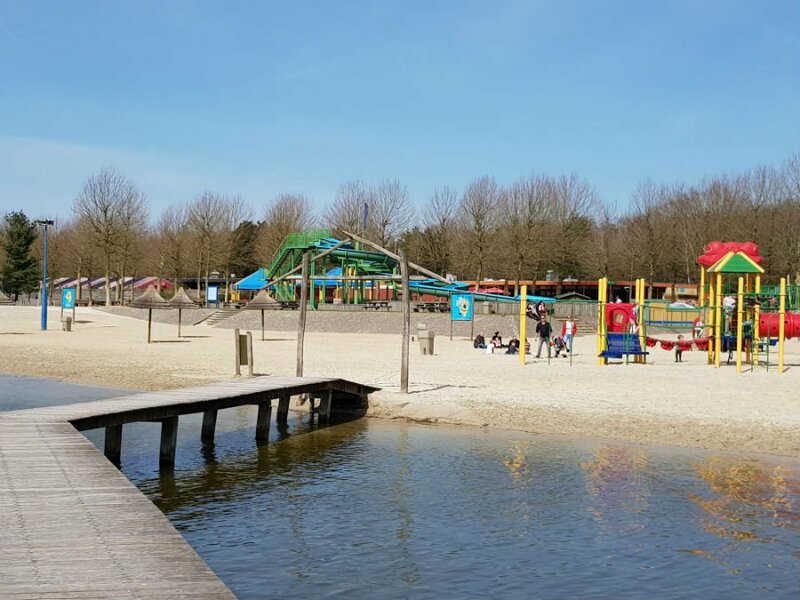 Beekse Bergen is a holiday park in the south of the Netherlands, which is superb for holidays with babies and toddlers. 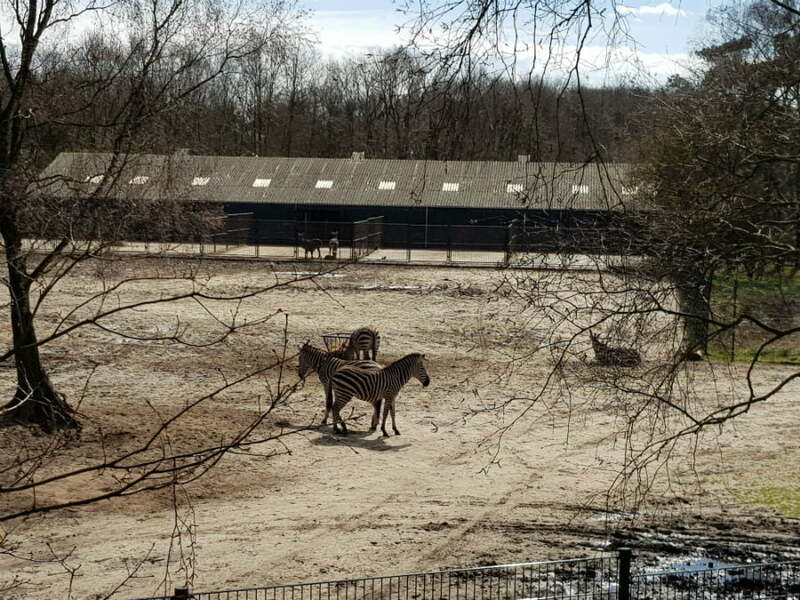 There is an onsite safari park with over 1000 animals, a fun park with a sandy beach and an indoor swimming pool. 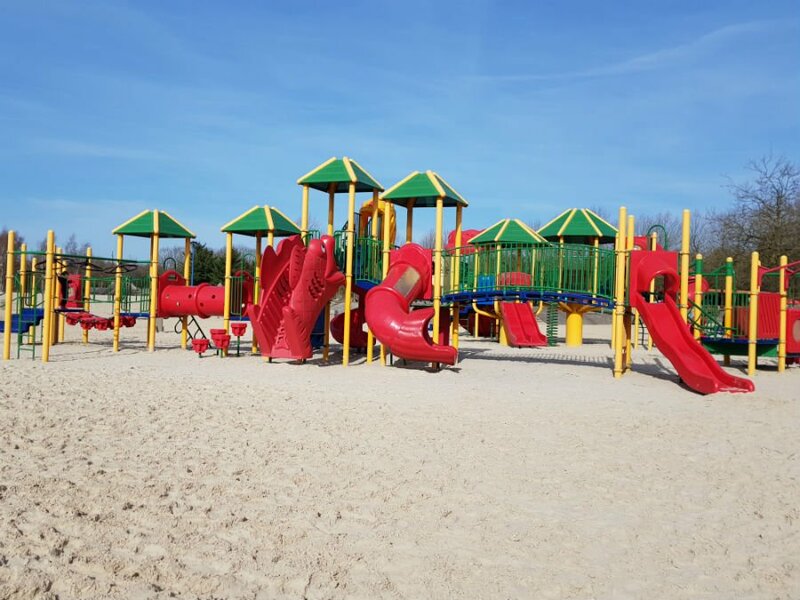 The whole park is located in a peaceful lakeside setting with lots of pretty beaches, playgrounds and picnic spots. There is also loads to do in the local area in case you want to explore the fascinating part of The Netherlands. 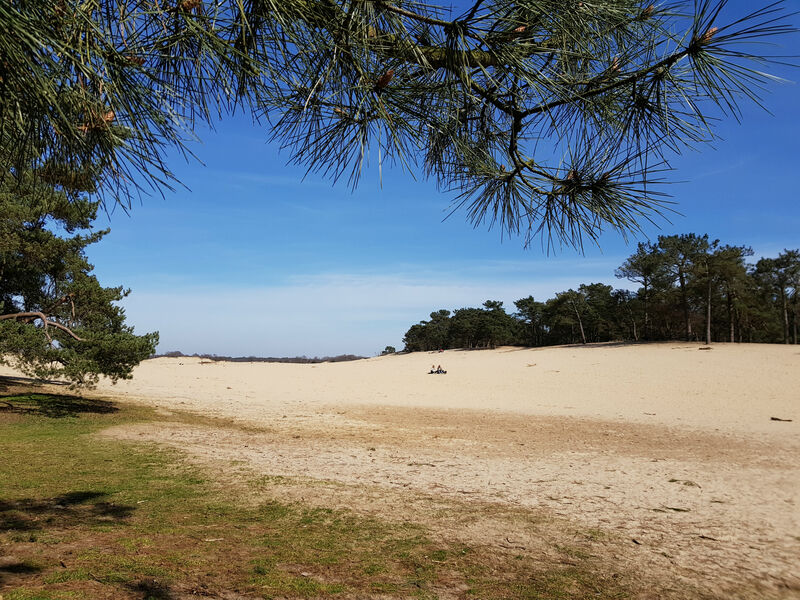 From medieval towns like Den Bosch, to the largest area of sand dunes in Western Europe and theme parks like Efleling, Beekse Bergen is in a great location to get out and about. 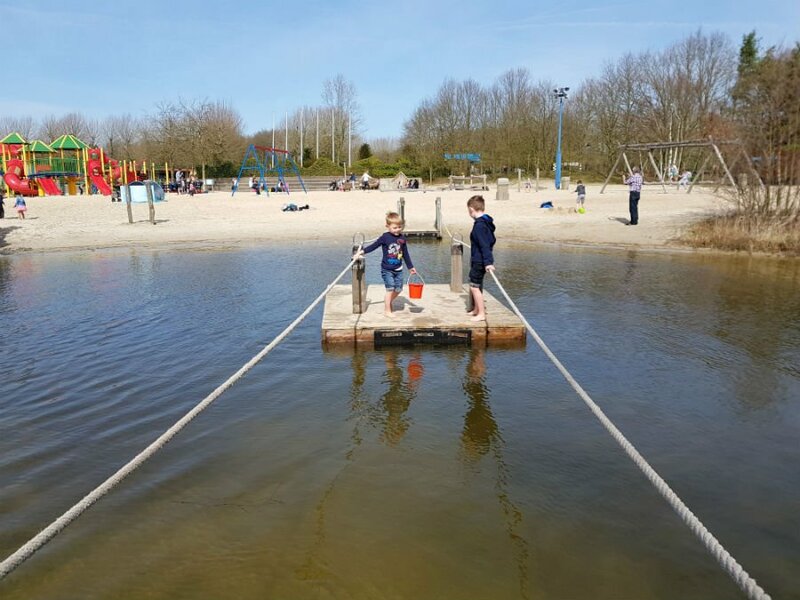 We spent a week at Beekse Bergen with Eurocamp with our 2 young boys, and in this article I’m going to share why I think it is so good for holidays with babies, toddlers and preschool children. The first thing to do say about a holiday at Beekse Bergen is that it is fantastic value for money. 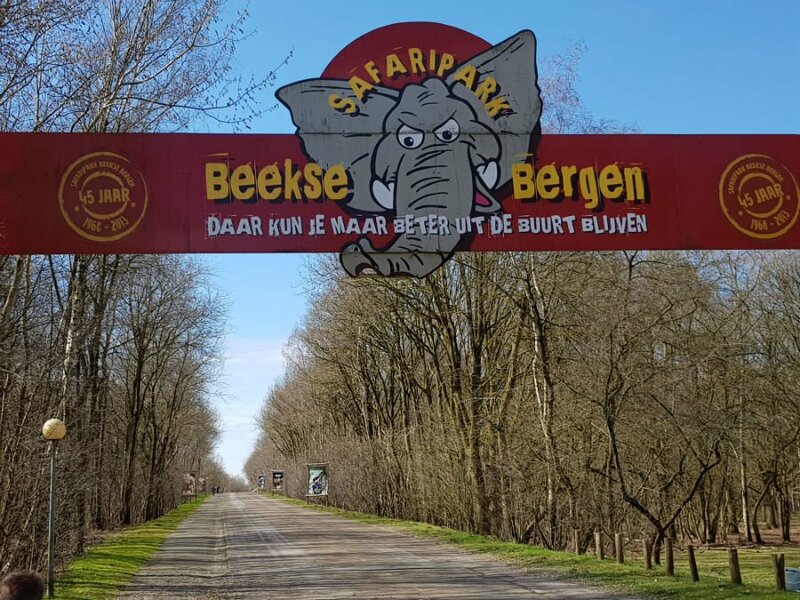 There is an onsite safari park, and guests who stay at the Beekse Bergen holiday park get free unlimited access to the safari park for the duration of their stay. 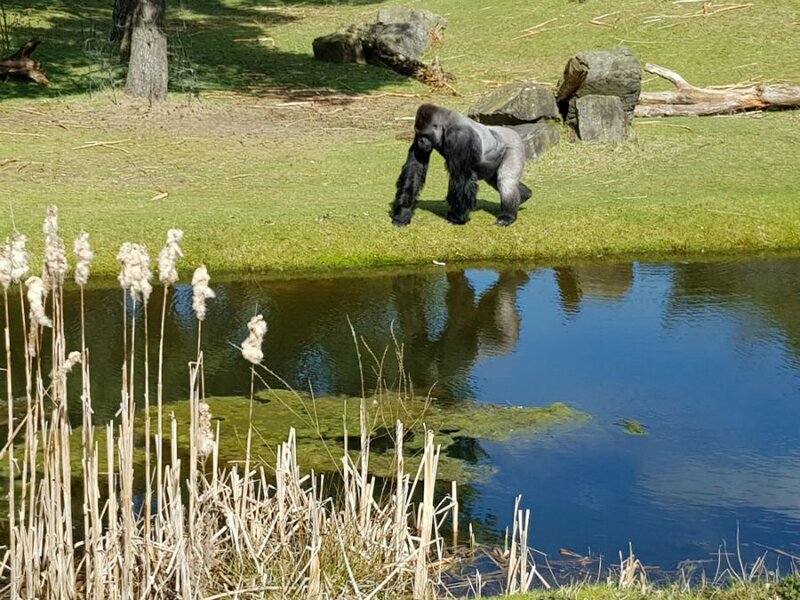 There are over 1000 animals at the safari park, including elephants, giraffes, leopards, crocodiles, gorillas and hippos, and there are various ways of seeing all these wonderful animals. One of the most popular ways of touring the safari park is on a 30 minute boat ride. 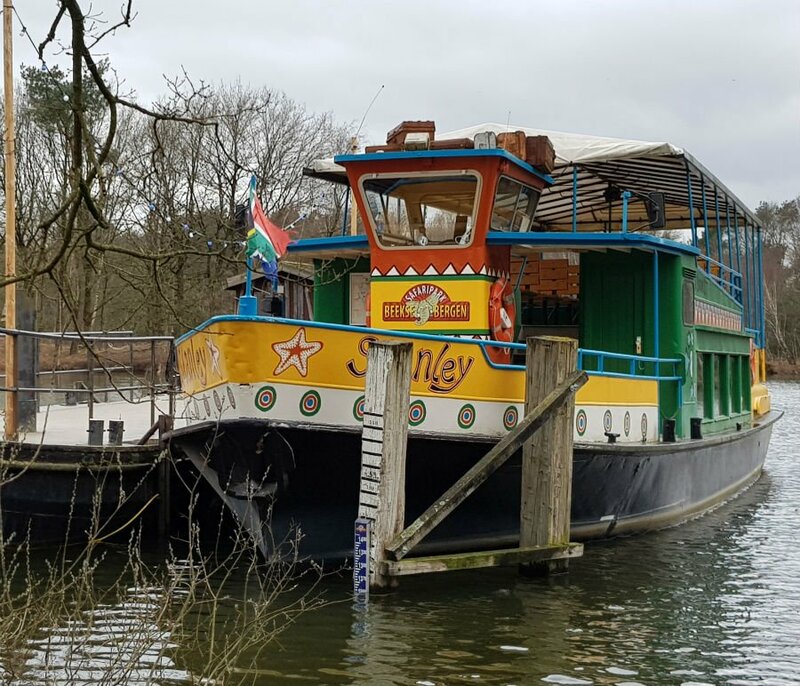 You can take the boat from the entrance and sail through the safari park seeing hippos, yaks and tigers on a 30 minute cruise. Full commentary is given by an English speaking Ranger. The boat drops you off at the far side of the park where there is a café, shops, toilets and a playground. 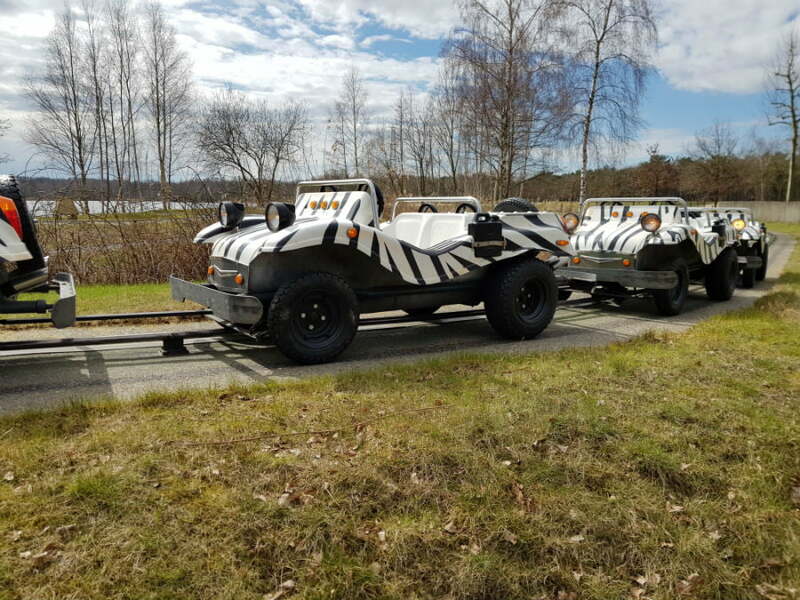 Another way to see the Beekse Bergen safari park is by a safari bus. Again, this is free to all guests who stay at the holiday park and is a great way to see the animals which live at the park. 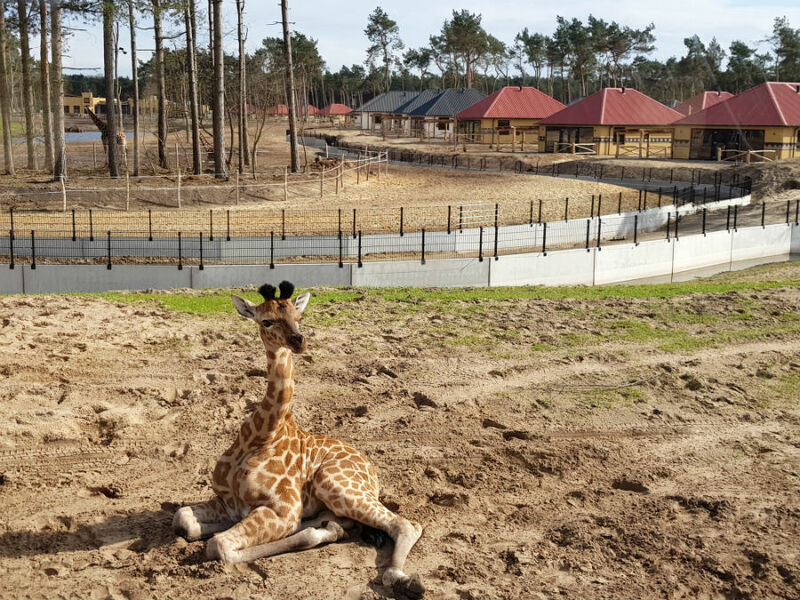 Rangers tell you about the animals you see (in Dutch) – and one of the highlights for us was seeing the giraffes, including a baby one! They were very inquisitive, coming over to take a look at the bus which meant we could see them close up. 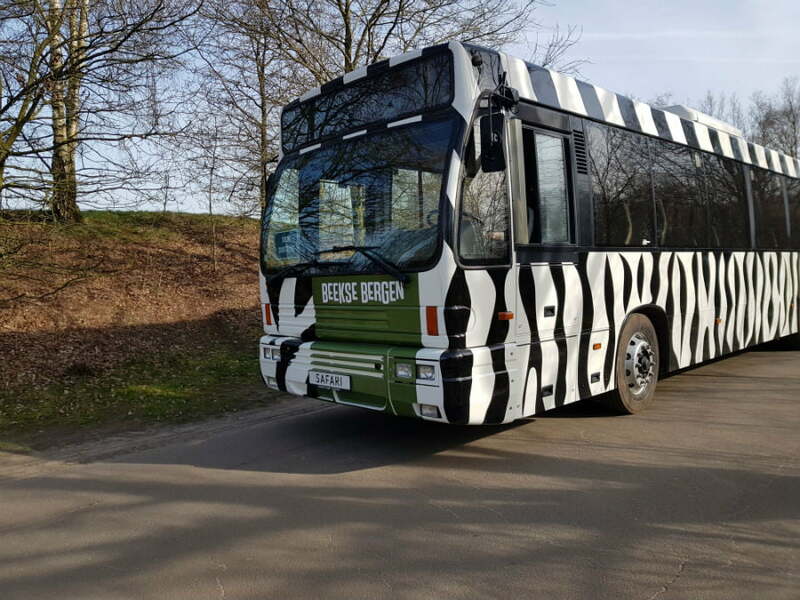 The safari bus tour takes about 40 minutes, and departs at regular intervals during the day. 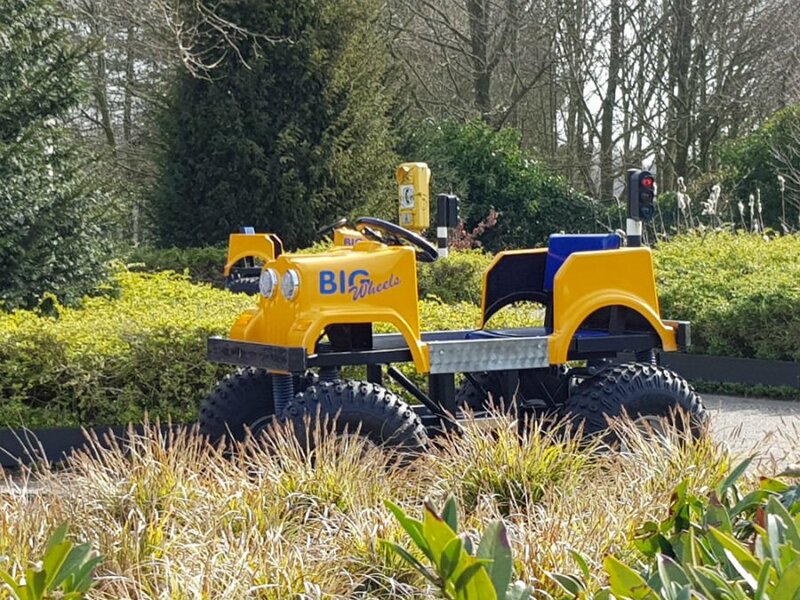 Alternatively, you can drive your own car through the safari park. We didn’t do this, but it does give you the option of stopping off on the way when you please. Finally, there is a walking route through the safari park which is fully accessible to buggies. The park is really big so I’d recommend doing the walking tour, and then catching either the boat or the safari boat back to the entrance. The beauty of the free entry to the safari park is that you can break the park up into chunks so you don’t have to tackle it in one day. We did the walking tour and safari bus one day, and then returned a few days later to do the boat tour. We still found loads that we hadn’t seen the first time we visited, and breaking it up means it is more manageable for smaller children. 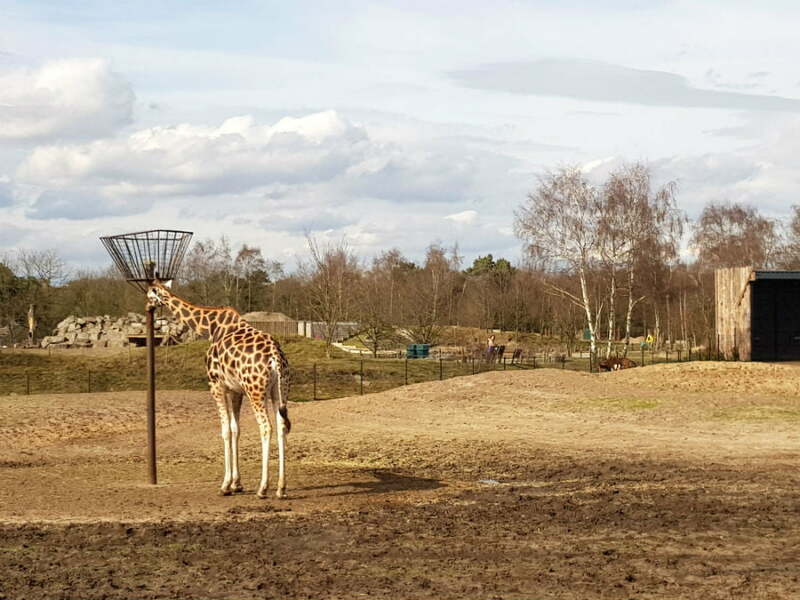 The safari park is about 40 minutes walk from the Eurocamp accommodation at Beekse Bergen, but you can either cycle there or catch the frequent buses which run during the day. You can take your own car too, but parking charges apply. 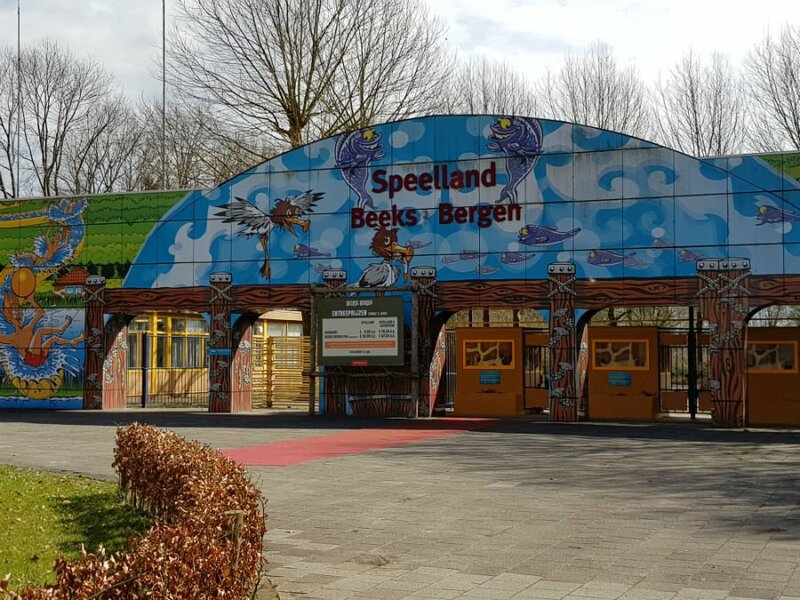 The next best thing about a holiday at Beekse Bergen is that you also get free access to the mini theme park / fun park called Speelland. This is located at the other side of the lake to the Eurocamp accommodation, and is the best place to go on a sunny day. 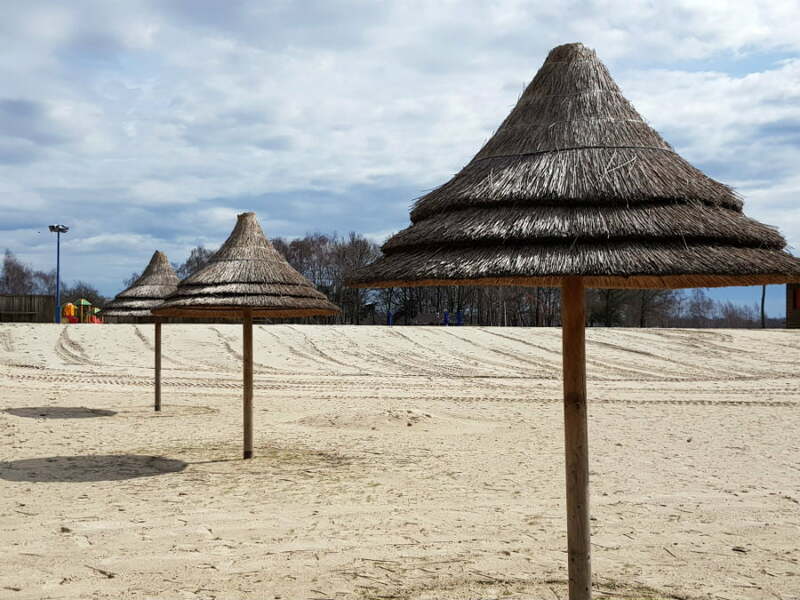 There is a big white sandy beach, water adventure play area, pedalos, water slides, ride on tractors, jumping pillows, go karts, mini rides, bouncy castle and much more. It is a wonderful place for children to play, and parents to relax on the beach whilst watching them. There is a café onsite too which serves fresh sandwiches, snacks, coffees etc, and we thought it was quite reasonably priced (about 20 Euros for a family of 4). 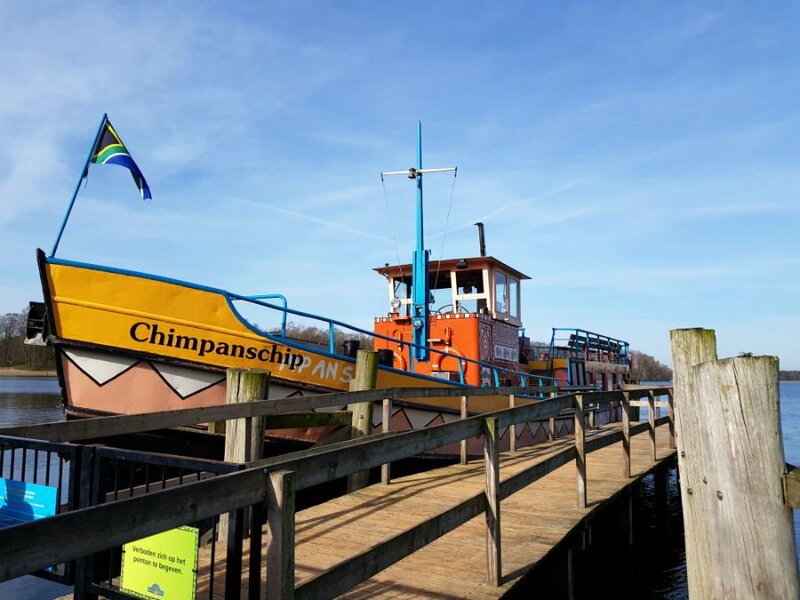 Another fantastic thing about Speelland is that you get there by a free boat from the Afrika Club, which is the central hub in the Beekse Bergen holiday park. The boat runs at various times of the day and takes about 15 / 20 mins to take you across the lake to Speelland. Once you get there, you just jump off the boat and you are on the sandy beach ready to start playing. 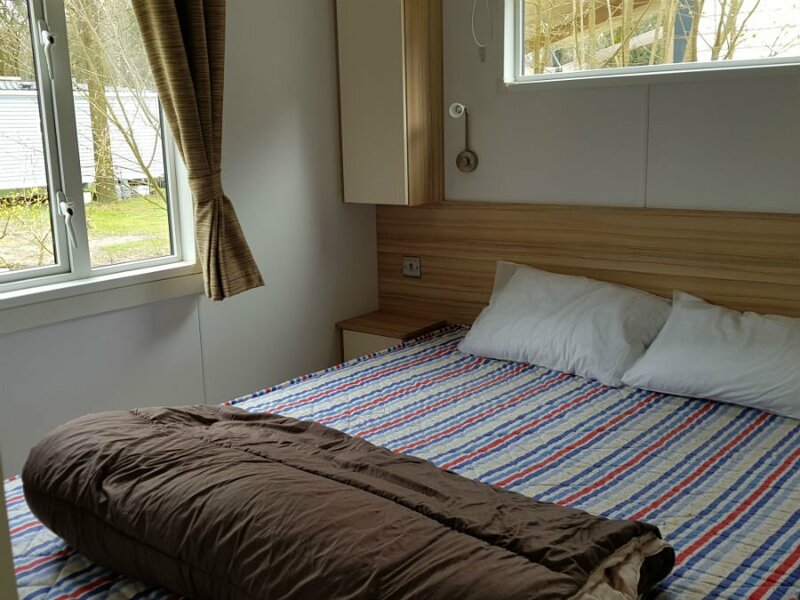 We stayed at Beekse Bergen with Eurocamp. We stayed in a lovely 2 bedroom, 1 bathroom Avant caravan with a comfy settee, dishwasher, fridge / freezer, large decking area and the all-important BBQ. 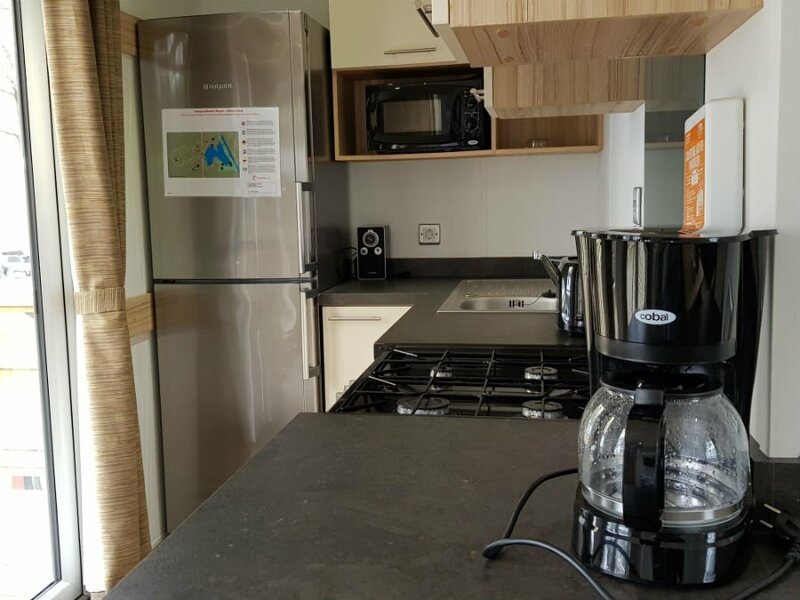 We have stayed with Eurocamp before, and I’ve always been impressed with the quality of their accommodation, parc facilities and local knowledge of the couriers. 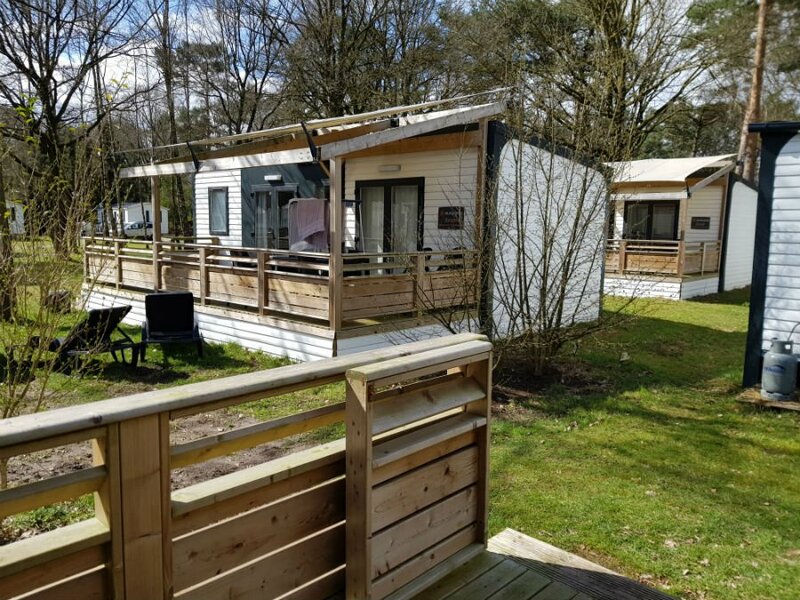 The Eurocamp caravans are in their own wooded area at Beekse Bergen with little playgrounds dotted around close to the lakeside beach and central Afrika Club hub. 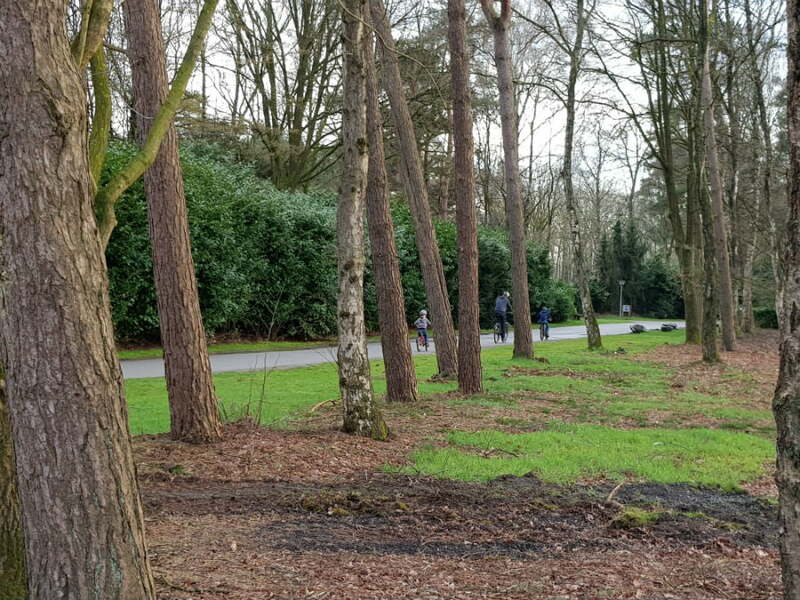 Beekse Bergen is only 12km from the biggest Dutch theme park, Efteling. 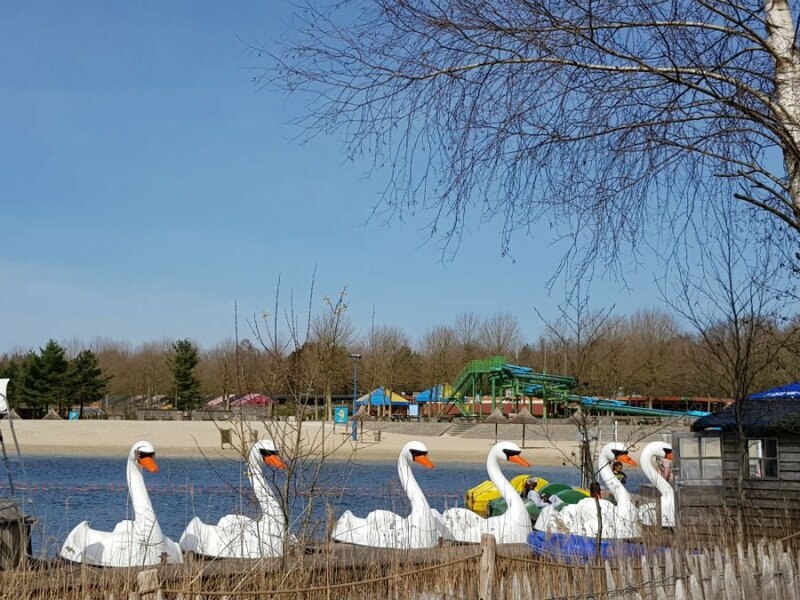 This fantastic theme park has a Fairytale Forest featuring characters and scenes from almost 30 fairytales and lots of family rides and attractions. Don’t miss the Aquanura show at the end of the day! Well worth a visit when you are staying at Beekse Bergen. Read More – Efteling Theme Park – One Of The Best Theme Parks In Europe For Young Children? Beekse Bergen is really child friendly, and around every corner there is a playground. 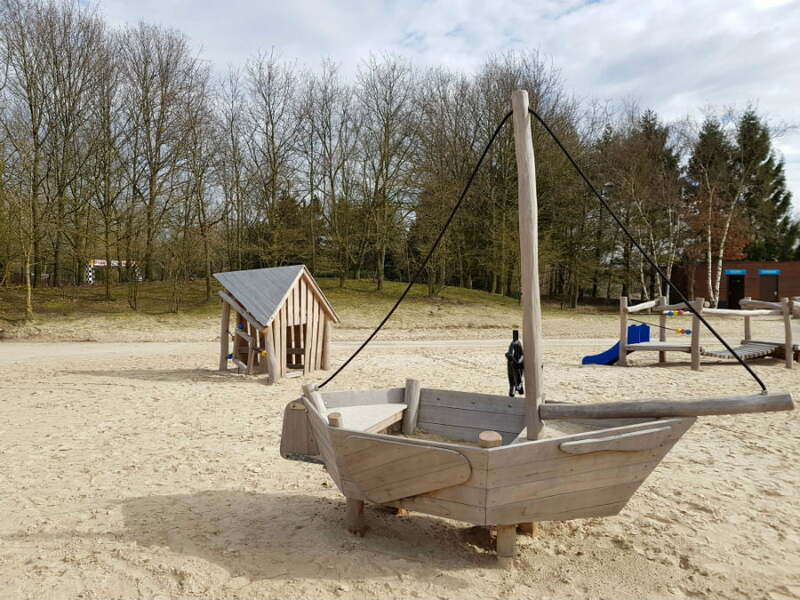 Every one of them seems to be different, and they are located by the beaches, in the forest and near the holiday homes – heaven for children who love being outside. There is a small indoor swimming pool complex onsite with 3 swimming pools, and a little waterslide. There is a separate toddler swimming pool with shallow water and a few toddler swimming slides, and 2 larger pools; one with inflatables and a small lazy river. 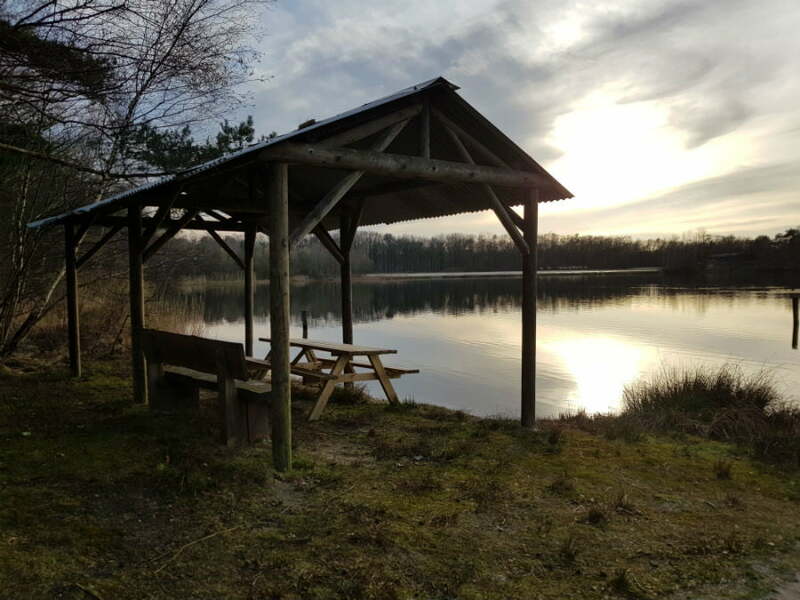 Guests of Beekse Bergen also get free entry to the other attractions in The Netherlands operated by the Libema Group who own Beekse Bergen. 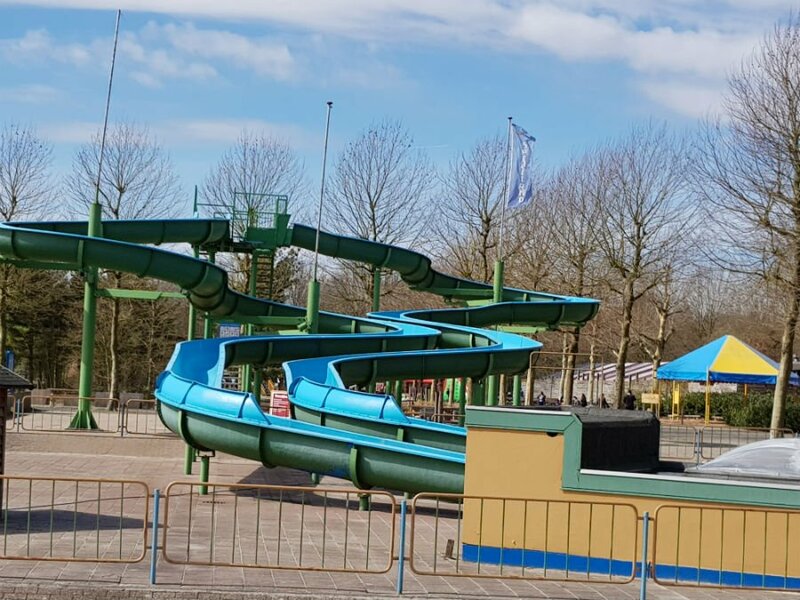 This includes the Sportim swimming complex in Den Bosch, which is just 30 mins away from Beekse Bergen, and includes a lazy river, 2 waterslides, wave pool and outdoor water slides in summer. We went to Den Bosch in the morning, and Sportiom in the afternoon. In the summer, there is an outdoor waterslide at the Speelland Holiday Park. The Beekse Bergen holiday park is quite large, so I’d advise you to take your bikes if you have them. Alternatively you can hire them when you get there. The park is flat and the drivers are used to cyclists so we felt safe cycling around the park with our 2 young children. There are lots of flat wooded areas for toddlers to learn how to ride their bikes, or for novice riders to get some practice in. 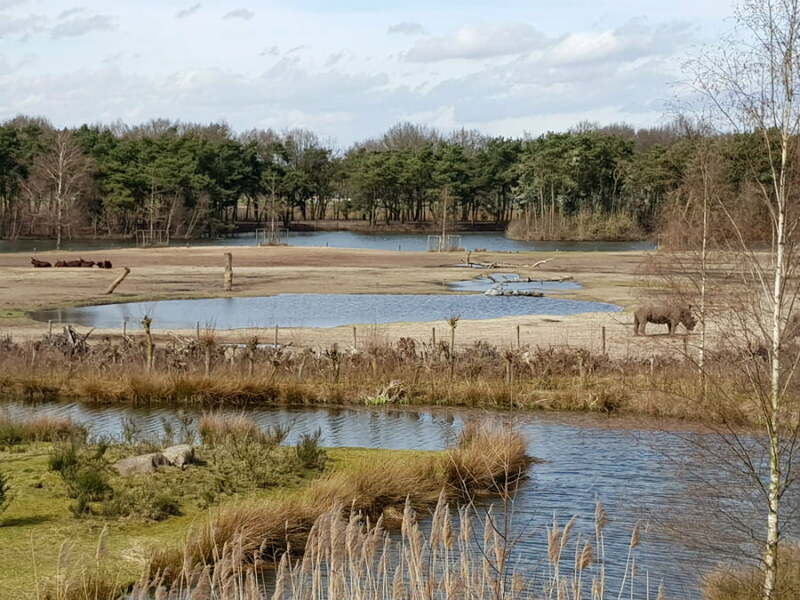 The Libema group who own Beekse Bergen also own various other attractions in The Netherlands, and guests can gain free entry to their attractions during their stay. 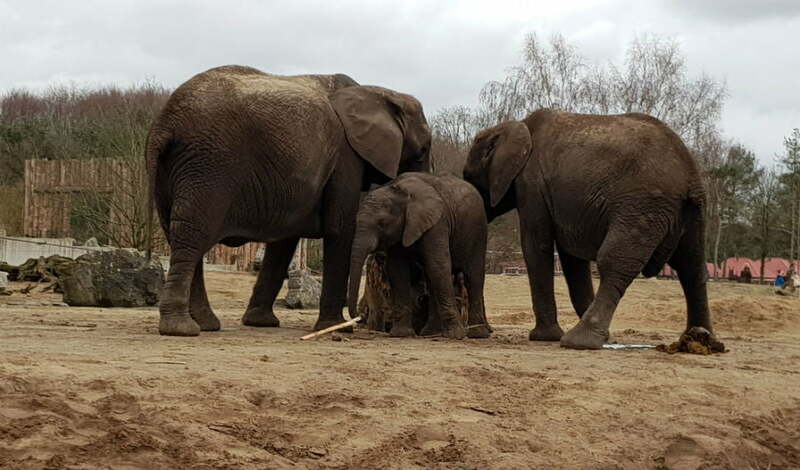 These include Sportiom in Den Bosch, Dierenrijk Zoo, Aviodrome in Lelystad and various other attractions. Some of these attractions are quite far from Beekse Bergen, but they are definitely worth looking into. 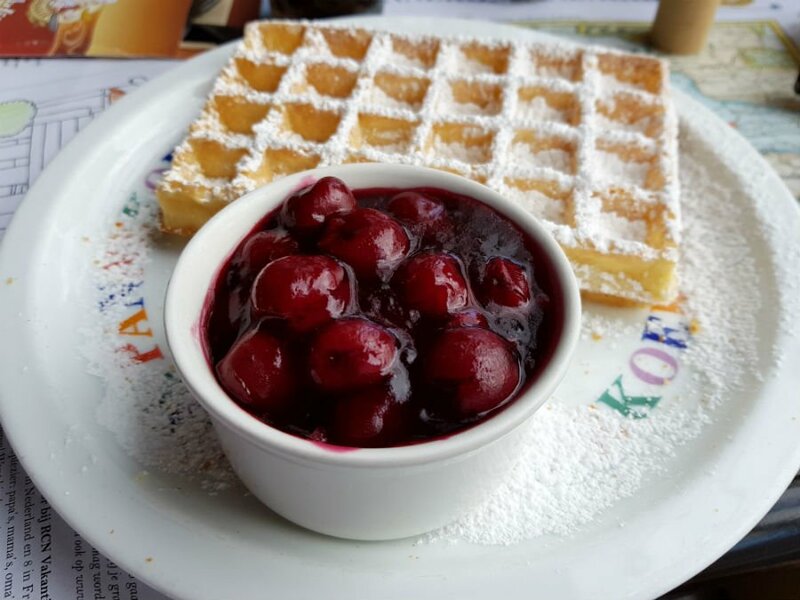 One of the invaluable tips from our Eurocamp courier, Tom, was to head to Den Bosch to sample some local food called Bossche Bols. ‘What is a Bossche Bol?’ I hear you cry. Well a Bosshce Bol is a local specialty which is similar to a giant profiterole full of cream, cream, chocolate and other fillings. We headed into Den Bosch on the hunt for some Bossche Bols, and stumbled on a great bakery where we ordered some nice and healthy (ish) cheese toasties and sandwiches before ordering a selection of Bossche Bols for pudding. 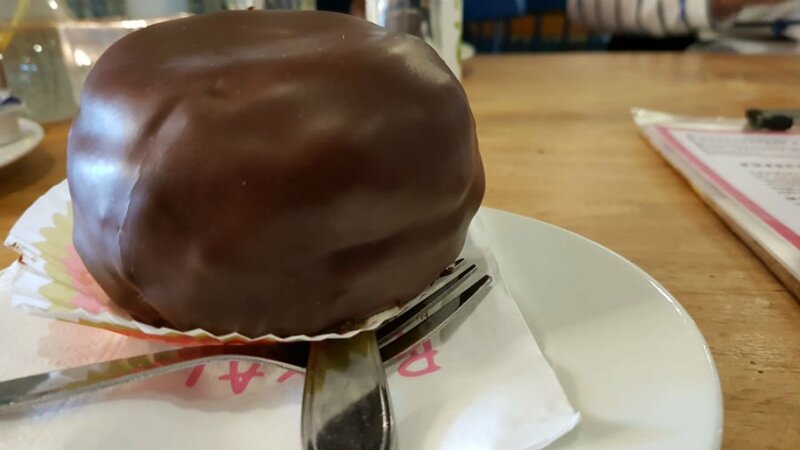 The waiter brought us some knives and forks to eat them with, but then explained that the real way to eat a Bossche Bol was to turn them upside down so all the filling doesn’t fall out, and then eat them with your hands. So that’s what we did, and they were delicious. It’s always great to get recommendations about local food to try when you visit a new place. Beekse Bergen is really close to the Belgium border (aprox 20 mina drive), so you can also visit parts of Belgium when you stay at Beekse Bergen. Another recommendation from our Eurocamp courier, Tom, was to go to a bizarre little place called Baarle Nassau which spans the Dutch and Belgium borders. 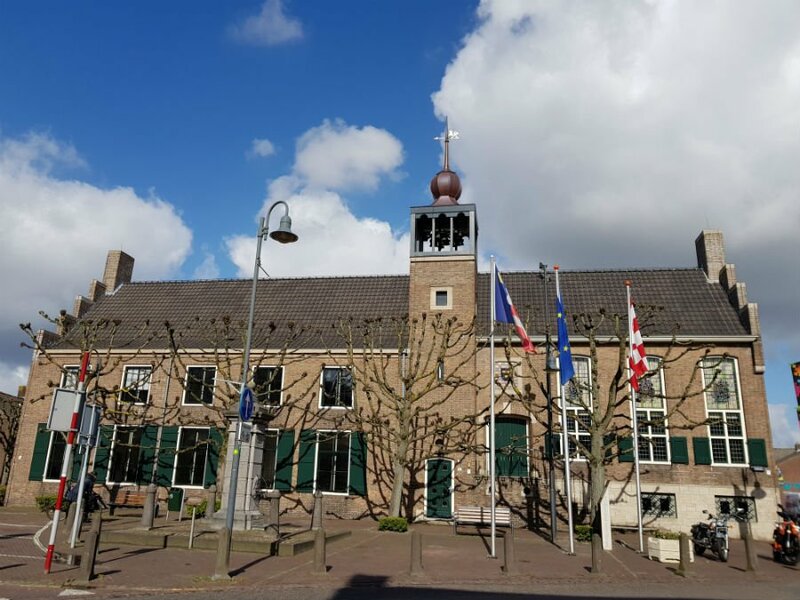 This town has a population of 9000 and isn’t actually on the Dutch / Belgium border, but due to some ancient medieval laws has enclaves of the town which belong to both countries. This means that the border runs across a car park, through a department store and even through some people’s houses. The flags outside the houses depict which country they are in – there is even one house which a door in each country. 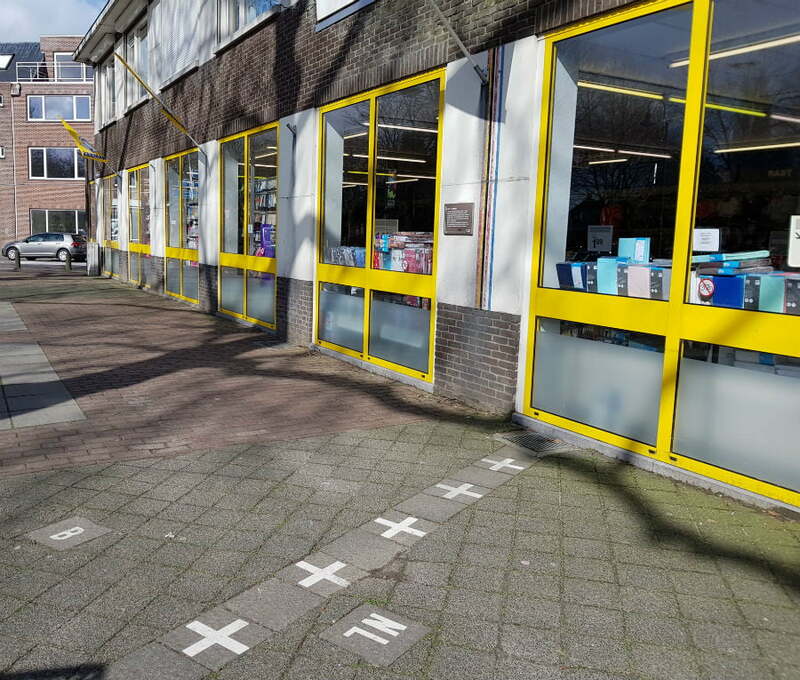 Whenever you walk through the town you keep crossing various white lines which represent the borders of the enclaves and have an NL or B at either side. Half the time, we didn’t know which country we were in!! Border running through a department store! The town is famous because of its enclaves, and there is an interesting walk around the town where you can see them. We had a great snack of pancakes and waffles at De Pannekoekenbakker which had children’s portions of pancakes and poffertjes (small pancakes) for 4 / 5 Euros and the waiter gave the boys some coins so they could ‘buy’ some little toys from the restaurant shop! 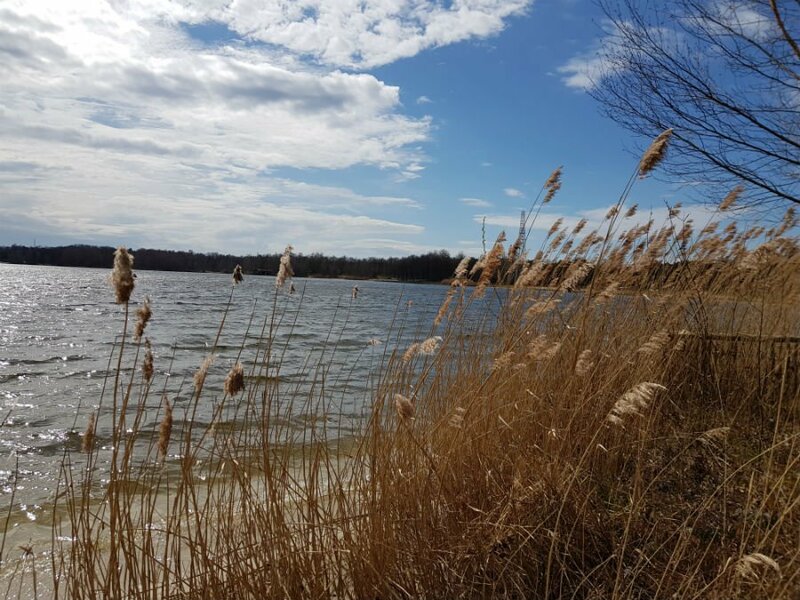 Further across the border, the town of Mol is meant to be worth a visit, as is a trip to the lakeside beaches and play areas at Zilvermeer One for next time. The Netherlands is fairly small, and Beekse Bergen is quite easy to get to from most areas of the UK. The ports of Rotterdam and the Hook of Holland are less than 1 hours drive away as is Amsterdam Airport. Calais is 3.5 hours away by car and Zeebrugge is 90 mins away. 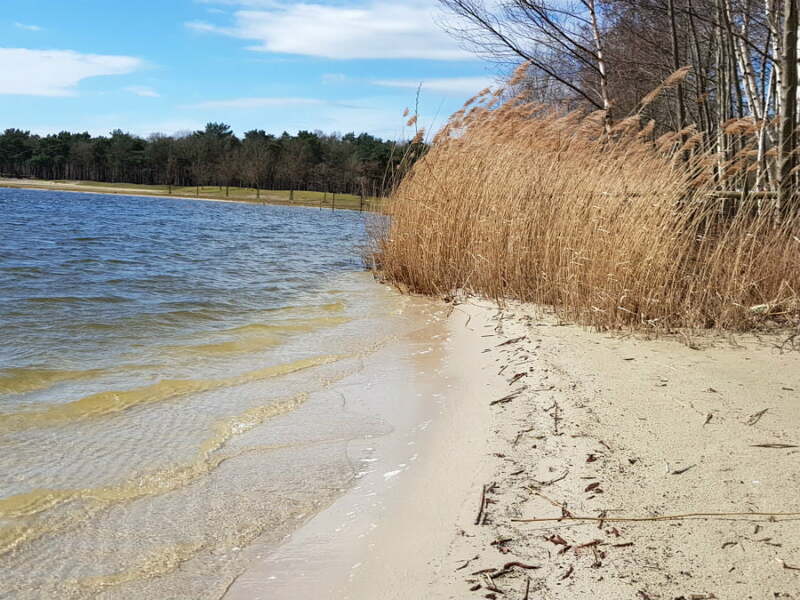 Beekse Bergen is in a spectacular lakeside setting with lots of beaches, and picnic tables dotted around the lake. You can easily find yourself a spot on the beach and spend the day building sandcastles and splashing about in the water. And if you get bored of the beach, you can easily head off to the Safari Park to see the animals or Speelland to go on the rides. Don’t forget to bring your bucket and spades as they are quite expensive to buy in the onsite supermarket. 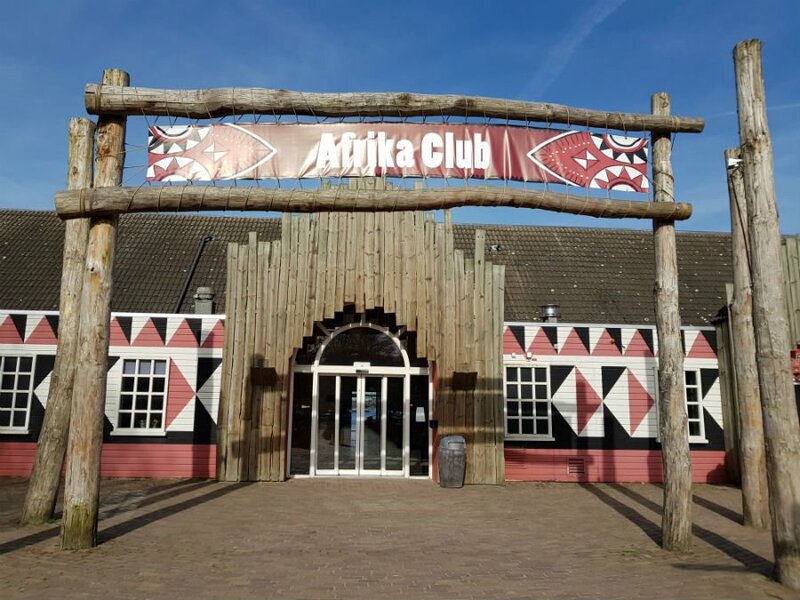 The Afrika Club is the name of the central hub at Beekse Bergen. This is where the restaurant is, the supermarket, bike hire, swimming pool, entertainment and of course another playground. The supermarket is a little more expensive than supermarkets offside but is fine for little bits and pieces. A larger supermarket called Jumbo is less than 10 minutes drive away and is the best option for a big shop. 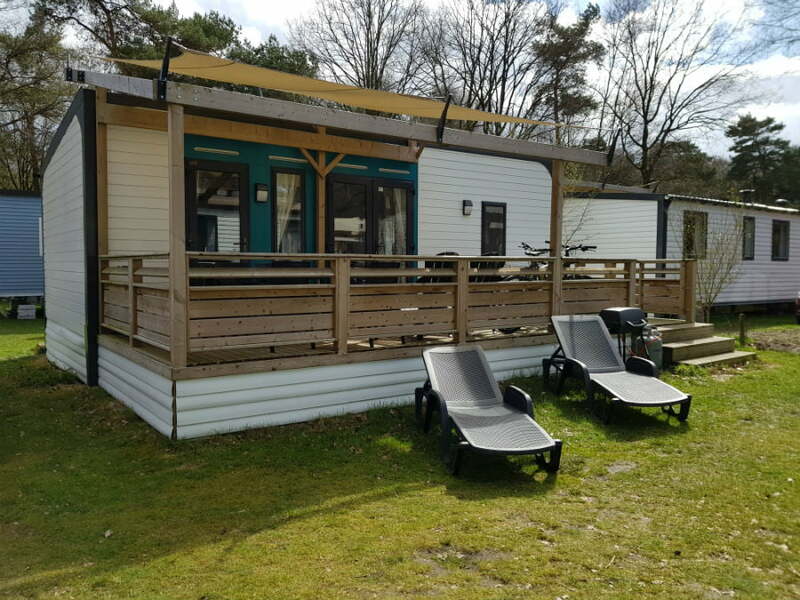 7 night holidays at Beekse Bergen start from £199 with Eurocamp. 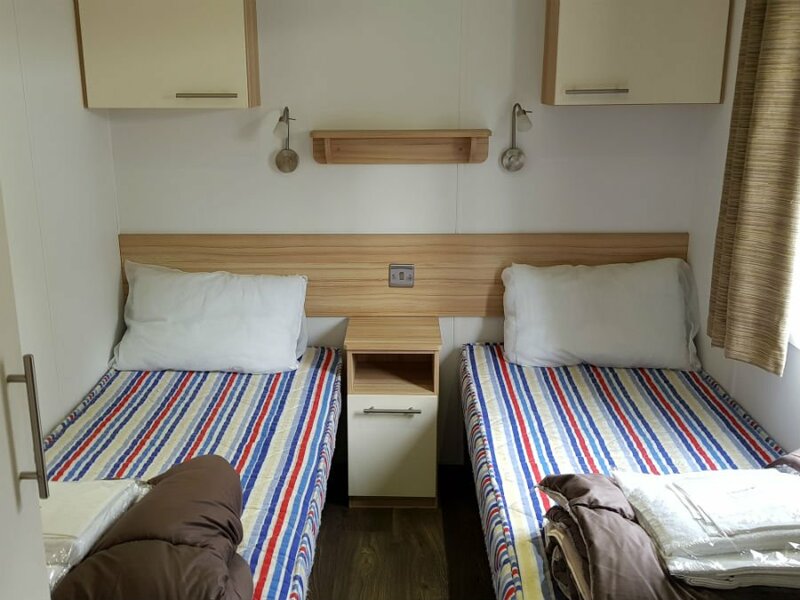 Book your ferry travel via Eurocamp as I’ve found it to be a lot cheaper than booking direct. And it means you don’t need to pay for your ferry travel until 8 weeks before you depart. Free WIFI is available, but it is a bit sketchy in your holiday home. It is fine in the main central areas though. Take your buckets and spades for the beach. Cots and high chairs are available to borrow from Eurocamp. If you are planning to drive abroad, don’t forget to add European driving to your insurance policy. 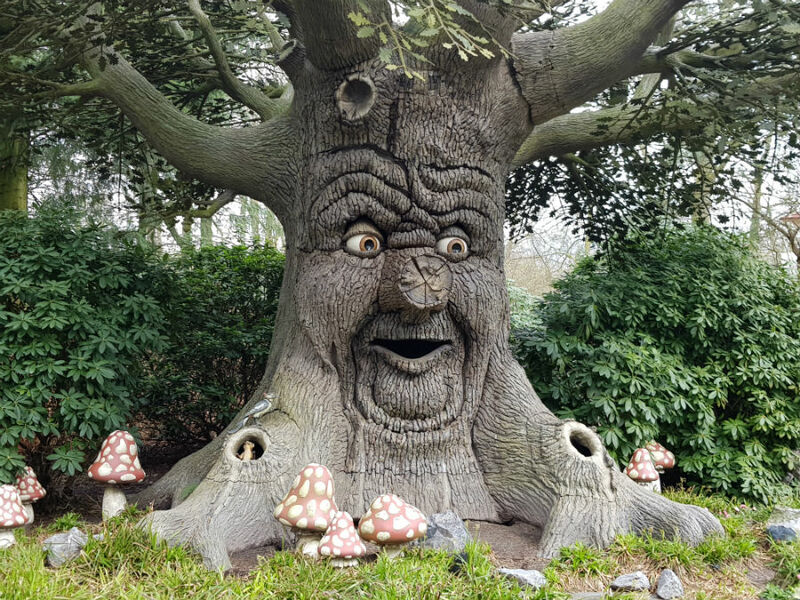 Efteling In The Netherlands: One Of The Best Theme Park In Europe For Young Children?